71lbs helps members claim refunds for late shipments and more. 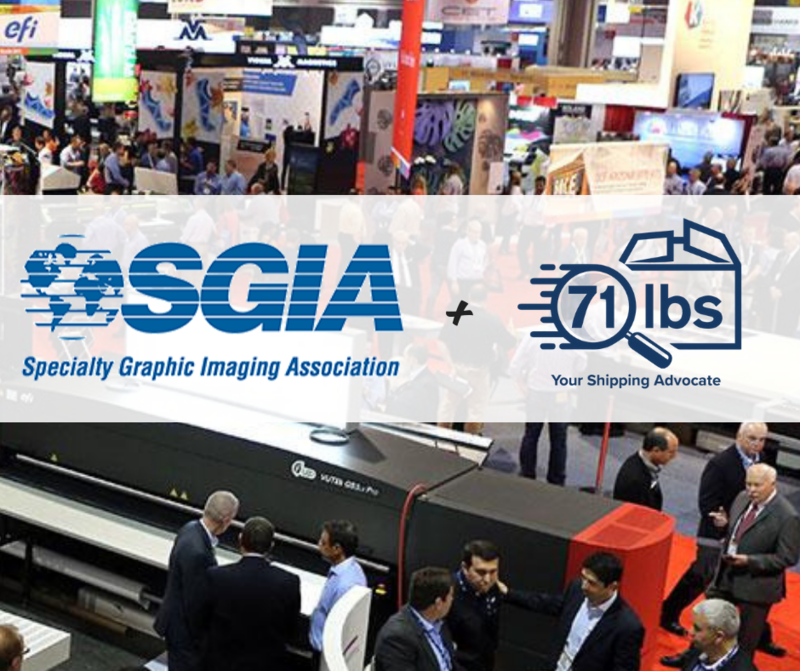 Fairfax, Virginia — The Specialty Graphic Imaging Association (SGIA) has partnered with 71lbs to offer SGIA members a complimentary dashboard and monitoring of their UPS/FedEx accounts. 71lbs will identify, file & fight claims for all refunds due on late shipments through FedEx and UPS based on the carrier’s guarantee. "71lbs is focused on helping businesses save money on shipping and understand their shipping costs. We proudly serve thousands of companies to help them reduce what they spend on shipping. We provide everything from human-backed automation for refunds due to service failures, to helping businesses renegotiate their shipping agreements and so much more,” said Ellen Riley Wong, Chief Growth Officer, 71lbs. With the new partnership, SGIA members can register to have 71lbs monitor their shipments and compare deliveries to the carriers’ guaranteed time commitment to ensure they are correctly billed. If a delivery does not arrive on time or is billed incorrectly, 71lbs will file a claim on the SGIA member’s behalf to ensure FedEx or UPS credits 100% of the shipping costs. 71lbs will also file claims for credit on lost or damaged packages. Refunds will be processed by the carrier directly into the member’s shipping account. Registered members gain access to a dashboard on the 71lbs website, which provides in-depth shipping analytics to clarify the shipping process, additional fees and the cost structures of FedEx and UPS. SGIA members can enroll in this program at 71lbs.com.